Christmas is just around the corner and we’re all eagerly anticipating the breeze-swept aroma of mulled wine in Truro, where the season’s festivities will begin on Wednesday 22nd November with the Christmas lights switch on and the City of Lights procession. With a ‘glow’ theme for this year’s City of Lights parade, visitors can expect an evening of feel-good community spirit and warmth as hundreds of school children walk in the procession with their hand-made lanterns, and thousands more come to marvel at this much loved spectacle, now in its 21st year! The first official late night shopping begins the following Wednesday (29th), where mitten-clad children eagerly await a glimpse of Santa and his real reindeer, as they once again ride through the city’s streets, this year joined by Camborne Youth Band and dancing santas from Jason Thomas Dance. 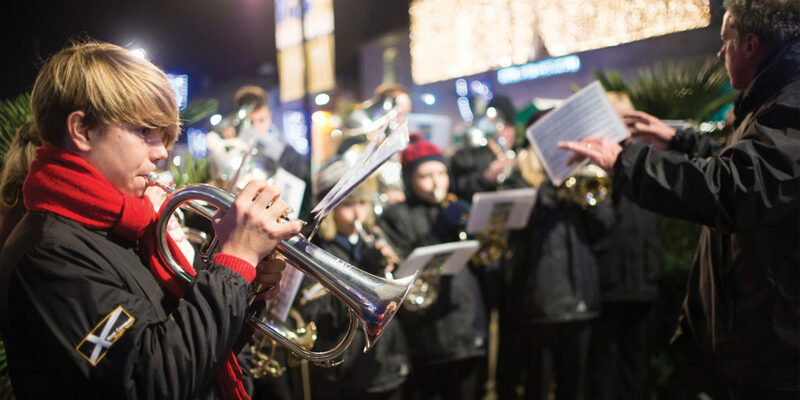 There will also be a ‘Santa Stop’ positioned outside sponsors Rowe’s, the Cornish bakers on Lemon Quay, where a pit-stop of tasty treats and live music will top up the crowd’s festive cheer before returning to Victoria Square, where the procession ends. Street markets will adorn a pedestrianised Boscawen Street every Wednesday night and Saturday throughout December. 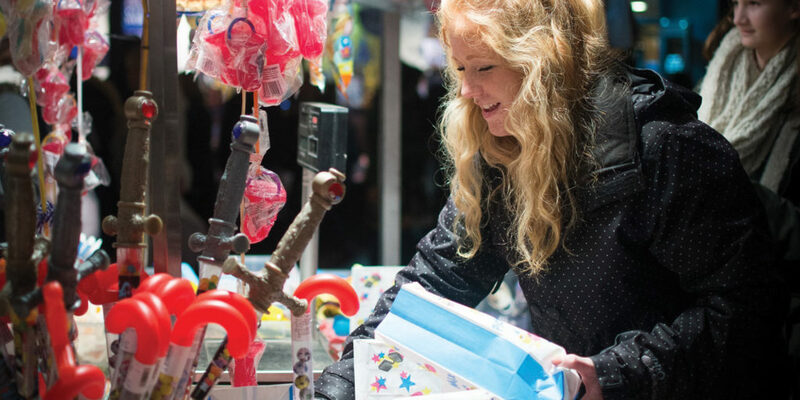 Under new management by the Truro BID this year’s markets are particularly focused on encouraging existing businesses in the city centre to join in the fun and trade outside, with the markets starting at the earlier time of midday. 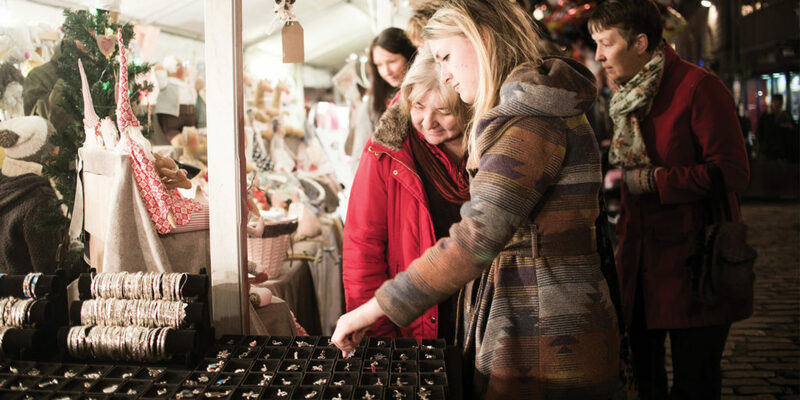 Also new this year is the Winter Gift Fayre, a brand new Christmas market filled with quality festive treats and gorgeous gifts, encapsulating the spirit of winter magic and Christmas festivities with evergreens, natural wood, zesty aromas and twinkling lights. The market will be open on Lemon Quay from Tuesday 12th until Sunday 17th December. 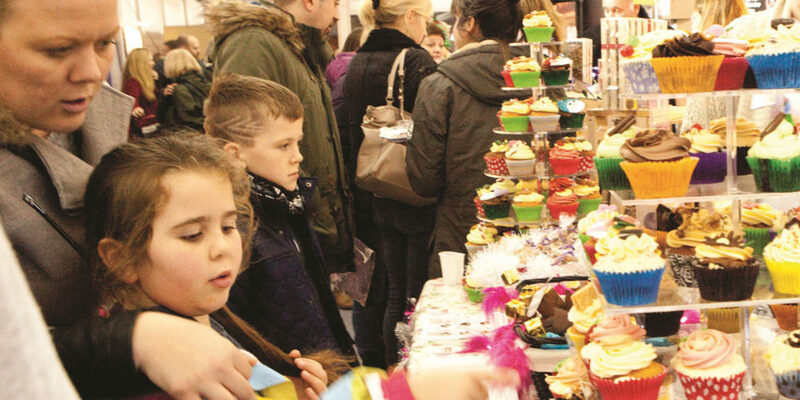 Finally, how could we forget the variety of independent traders sprinkled throughout the city centre, rubbing shoulders with top-name brands? Truro really is the ultimate destination for Cornish Christmas fun and shopping this coming advent. "...with evergreens, natural wood, zesty aromas and twinkling lights."